First Spike in our New Apartment! 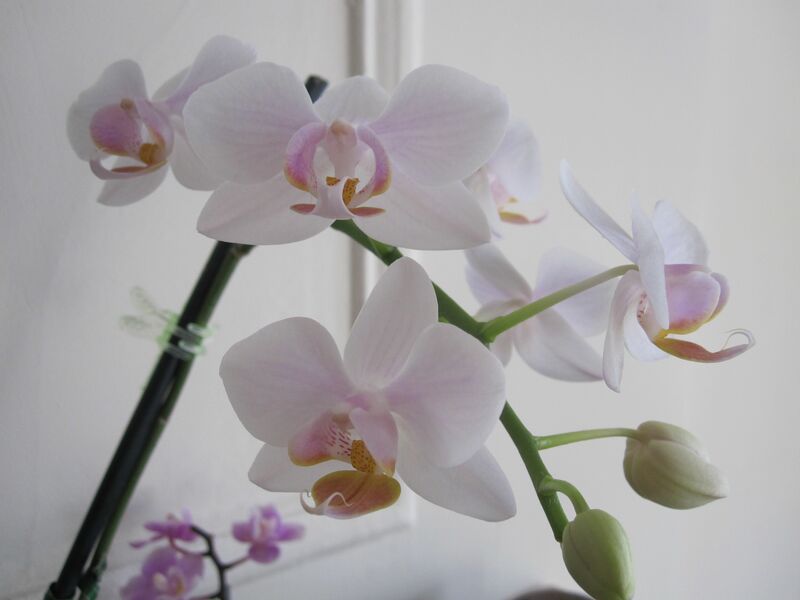 My orchids have, sadly, been rather dormant ever since we moved into our current apartment at the end of last June. The “orchid room” window faces southwest rather than south like it did in our last apartment, so the light isn’t quite as bright here. 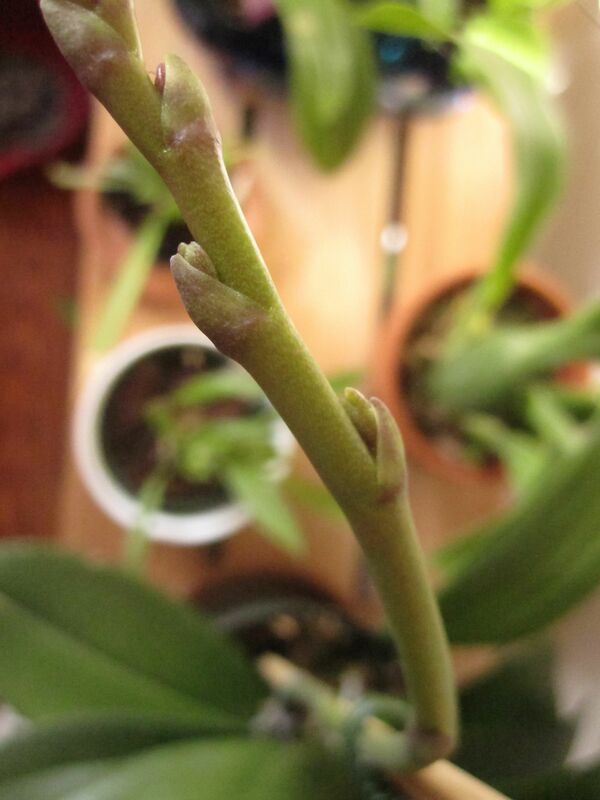 There has been a fair amount of new leaf, root, and pseudobulb growth, but spikes are another story. 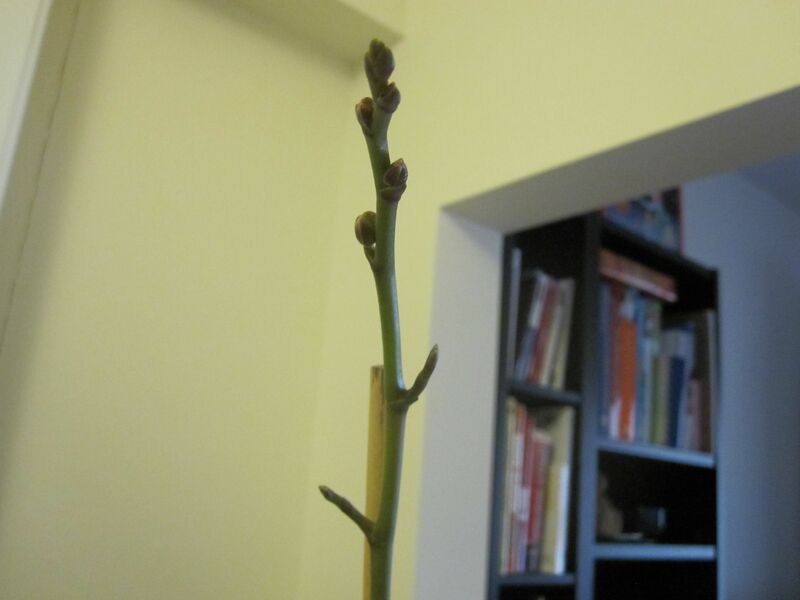 So I was thrilled at the end of March to discover a spike on my NOID Oncidium that last bloomed for me two years ago! If you follow me on Facebook or Instagram you might already be aware of this development. 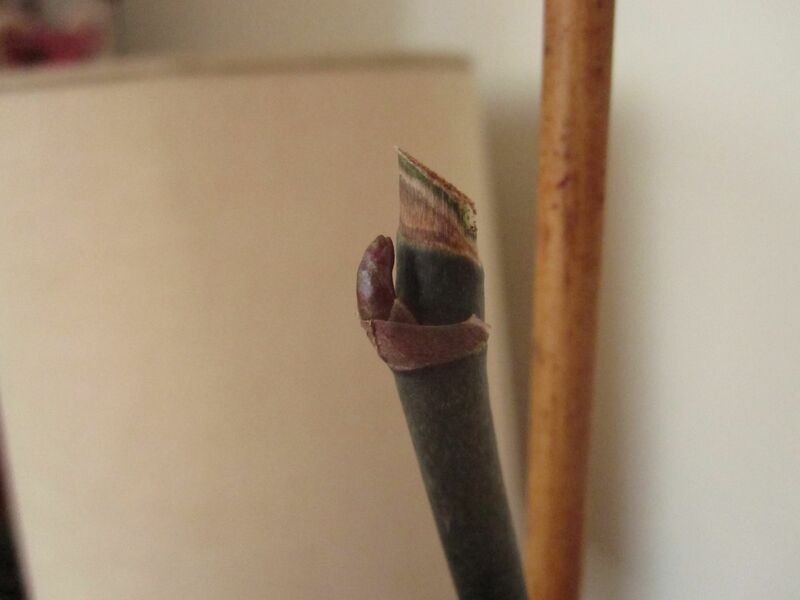 The spike was hiding inside the folds between the leaves and the pseudobulb, and it was a little bent but still totally viable. It was about an inch and a half long by the time I found it. I was just doing some daily inspection of my orchids and noticed that I have what appears to be a terminal spike starting to poke out from the crown of one of my Phals. 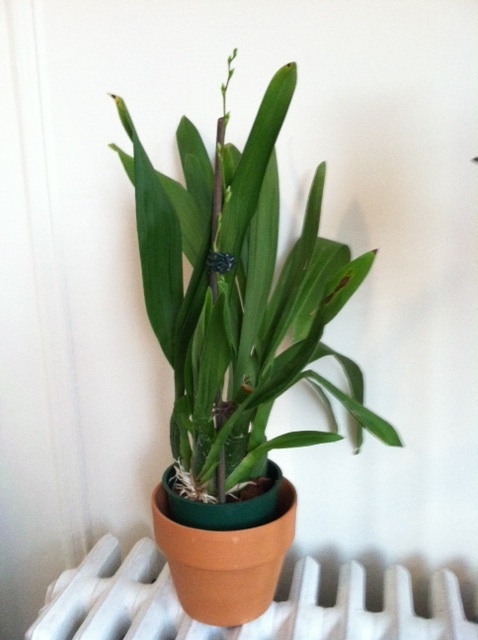 A terminal spike is one that grows from the center of the foliage of a monopodial orchid, meaning that the plant will no longer be able to grow leaves from there. 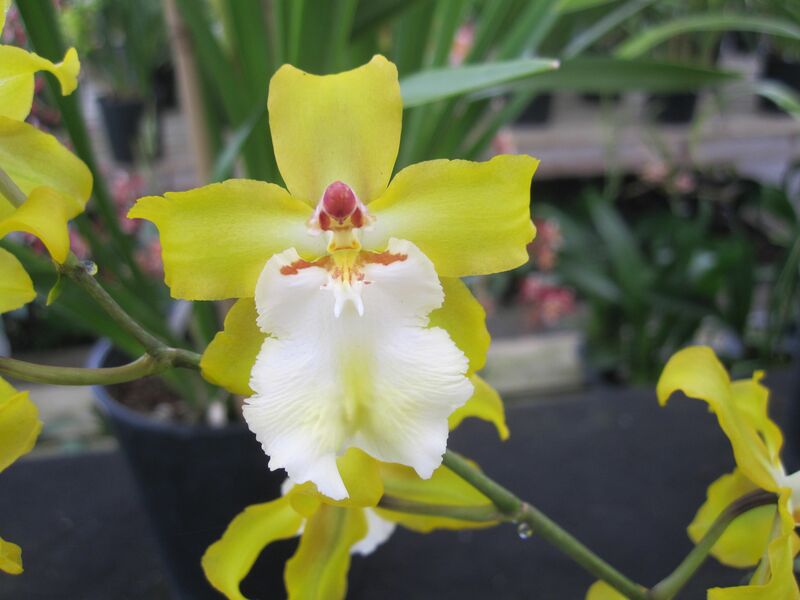 Healthy Phals usually put spikes out from the base of the plant or in between older leaves. 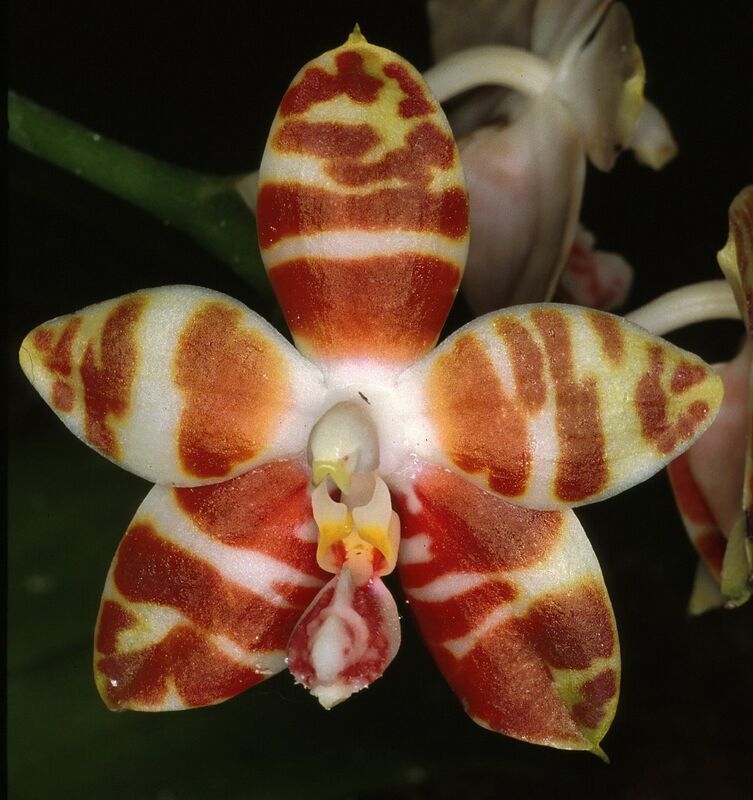 According to chit-chat on orchid forums, a terminal spike on a Phal may signify that the plant is not healthy but is trying to find a way to keep on truckin’. 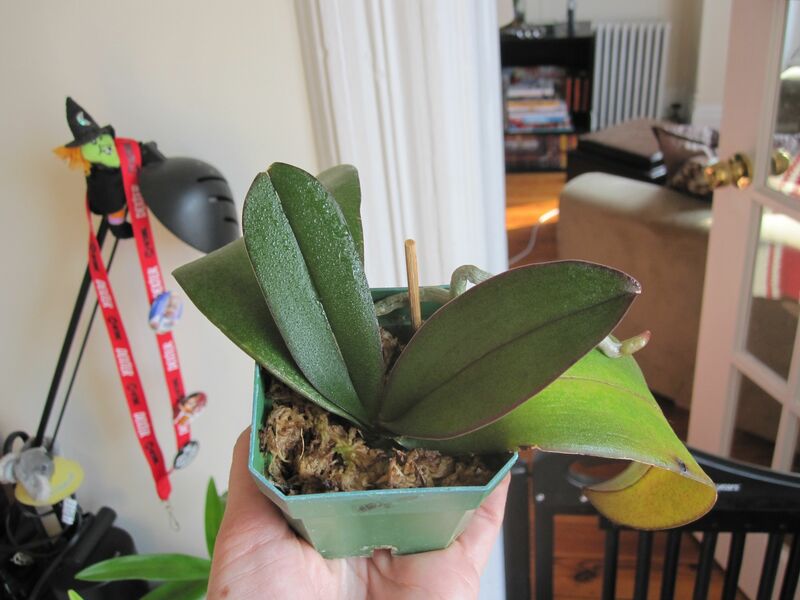 Sometimes Phals that do this will end up growing a basal keiki to try and replicate themselves, but other times they won’t survive. The Phal with the growing terminal spike hasn’t been in great shape for awhile, and in fact was quite near death about a year or so ago. 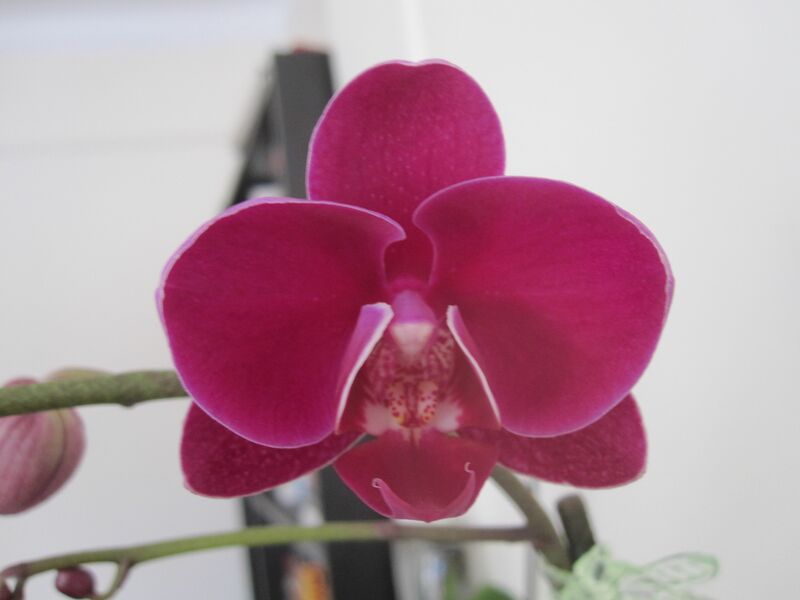 Yikes, I’ve been seriously shirking my orchid blogging duties. I don’t even want to look back and see when I last did an Orchid of the Week blog. Well, because today is the last day of 2010 I figured I should get in one final blog post this year. And I’ve chosen to feature Phalaenopsis amboinensis, one which I have in my personal collection—and mine is beginning to spike! !